She has spoken countless times on TV and radio as well as other media where her expertise in political science and forms of government were shared with wider and curious audiences. 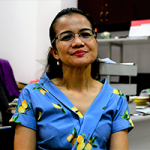 But Professor Maria Ela Atienza still feels that there is a lack of understanding of what federalism is and how it can affect people. 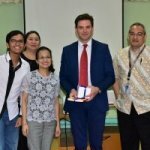 “Will Australia defend the rules-based order?” At a public lecture held at Palma Hall of the University of the Philippines Diliman on October 20, 2017, Professor Benjamin Schreer addressed this question as he discussed the “rules-based order” in the Asia-Pacific in relation to the rise of China as a global power. Schreer, the head of the Security and Strategic Studies department of Macquarie University in Australia, presented several scenarios and challenges in preserving the “rules-based order”, which he said is a key policy objective of the Australian government.